In some recent years, piercing has increasingly become popular in all ages. In reality, the people with piercing no longer have to suffer from the discrimination. Ear piercing not only shows personality traits of different individuals but also are used as the jewelry and develop the fashion style of the players. Some people choose to pierce their ears as a way of commemorating someone or an important event in their life. To have their ears pierced with different shapes, especially tragus piercing, some players have experienced terrible pains. In addition to traditional ear piercings, particularly the earlobe piercing, in these days, young people all over the world follow a great number of unique styles of wearing earrings. Quite a few people assume that the standard of beauty is unlimited. In fact, there are up to 11 kinds of ears piercing, namely, upper lobe, helix, forward helix, industrial, orbital, daith, inner conch, rook, tragus, snug and anti-tragus. In the last century, the normative approach and the uniformity were followed by the majority and regarded as the standard beauty. Meanwhile, in the 21st century, young people break every barrier and create their own beauty norms; as a result, quite a lot of standards change. As usual, this norm is only for a specific group of people. The most typical example is the trend of ear piercing among youth today. If you are not a brave person, it is difficult to do that. Tragus piercing is truly unique but not everyone can do it because it depends on the size of the helix. You should choose an earring accessory in a shape of a metal bar or ring for this beautiful position of ear piercing. If wanting to own a unique image, you can skillfully combine earrings with other accessories to create your own special image that leaves surrounding people with a strong impression. For this reason, many players are reluctant to bear the pain when their tragus is stabbed with a sharp object. However, ear injuries heal slowly and probably cause several complications. Even worse, it can make the tragus disappear and lead to the helix deformity. In some cases, tragus piercing can carry severe complications when the hygiene and the safety are not ensured while ear piercing. Those who have bacterial contamination after tragus piercing will experience painful and uncomfortable feelings that are caused by the ear piercing holes. Although there have been many warnings from the health experts, the "piercing" style is still growing, many people still joking around with their health. Bactericidal milk helps to not only kill bacteria but also cleanse the pus, stain, cosmetics and cigarette smoke that stick over earrings and piercing holes. Satin and Provon are some of the types of bactericidal milk that are useful for cleansing the ear piercing holes. If it is hard to find out these two types of milk, you can replace them with other types that are required to be mild, cause no irritation and contains no aromatic spices. However, you absolutely keep off types of milk with too strong characteristic, especially those containing triclosan. As a matter of fact, these products do not bring about good effects and can irritate the skin. Before cleaning the piercing hole, you need to wash your hands. That your dirty hands touch the piercing hole is the easiest way to increase the risk of infection. You pour the milk into hand and froth, then gently wash away the piercing hole and the surrounding skin. Note that you are not allowed to directly apply the milk to the piercing position. In addition, you have to wash all the things sticking on your earrings, especially blood, pus or dead cells secreted from the piercing holes. It is not necessary to rotate or remove the earrings while cleaning the piercing hole. The salt water is very useful for healing tragus piercing holes. The function of salt water is to not only clean up the dirty spot on the earrings and piercing holes but also support the circulation of blood, reduces the irritation and fight against the infection. You just pour salt water into a glass and dip it in the water for between 5 and 15 minutes. It is the best to use warm salt water once a day. For the earrings locations that are unfeasible to use the above-mentioned method, you should dip sterilized medical cotton in salt water and apply the water to the piercing hole. Nevertheless, this method is not as effective as directly dipping the ear piercing hole into the salt. After that, you clean the ears with clean water, preferably the above-mentioned bactericidal milk and then wipe the ears with a clean towel. In terms of the formula for making saltwater, you add a small spoon of salt in a glass of clean and warm water. You are advised to use non-iodized sea salt because the refined salt contains a variety of chemical constituents that may irritate the earrings holes, even cause the infections. When you buy the products, you just choose the type of salt that has either sodium chloride or salt and calcium. You absolutely do not use Epsom salt that is similar to a kind of cleanser. Physiological saline is not as good as the natural salt water but it is quite convenient. Therefore, you should only use physiological saline in several provisional situations. For the instructions for use, you simply spray physiological saline over the piercing holes. Besides, you do not need to wash them with clean water. In conclusion, tragus piercing is a unique style to express yourself. However, it is recommended that you should take care of your piercing holes after tragus piercing. 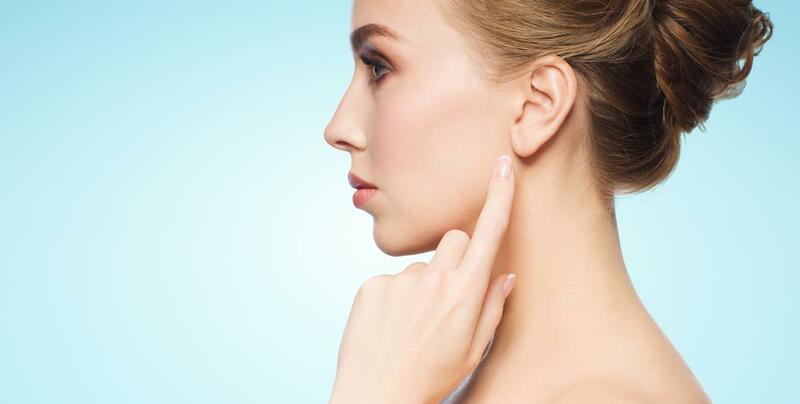 In particular, it is extremely important to cleanse your tragus with antiseptic cream, bactericidal milk, warm salt water and physiological saline.